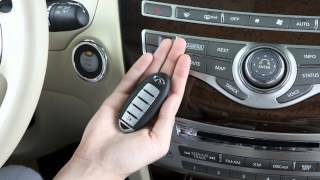 In the automobile industry Nissan is known for delivering the best crossovers and it is true for its luxury division Infiniti as well. 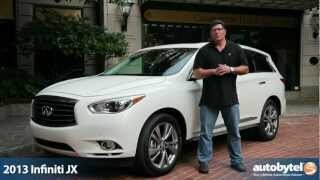 With the launch of the 2013 JX, Infiniti has certainly done justice to Nissan’s reputation of being the one of the best crossover manufacturers in the market. 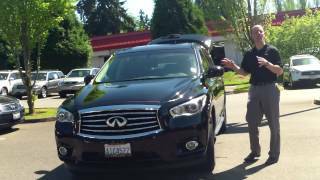 Although, Infiniti has the sporty FX crossover as well as the full-size SUV QX56 in its stable, it was still looking for a conventional luxury crossover in its lineup. 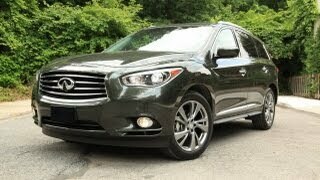 That dream of the company became true with the launch of the 2013 Infiniti JX Crossover. Another criticism that Infiniti was consistently facing from its detractors was that none of the crossovers in the company’s lineup were of the ‘right size’. While the EX was barely bigger than most hatchbacks, size of its QX was huge, to say the least. But with the JX, Infinity seems to have answered those critics perfectly. The JX was recently showcased at the Detroit Auto Show, and by the look of it, it seems to be influenced by the Infiniti Essence, only bigger. The JX has three rows of seats and is fully-packed with luxury features and latest gadgets that you normally expect from the Japanese manufacturers. 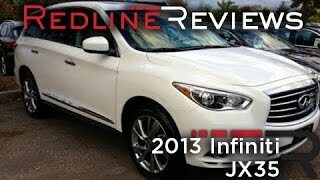 So what are those features that you can expect to get from the 2013 Infiniti JX Crossover? For starters, it will come with things like all-round cameras, adaptive cruise control, BOSE surround sound system and lane departure warning system. If that isn’t cool enough for you then the JX will also have an industry first safety system, which warns the driver and even stops the car if something crosses the path of the vehicle while it is reversing. The JX is powered by Nissan’s 3.5liter DOHC engine V6 engine, which is capable of delivering an output of 265 HP and a peak torque of 248 lb-ft. The JX shares the same Continuously Variable Transmission (CVT) found in the Nissan Murano. The front load of the car is handles by an independent suspension. Four wheel drive is an option, while all-wheel, bigger than 12” disc brakes are standard options along with 18-inches tires. The JX will be available by March this year for a price starting at $40,450 for the front-wheel drive model. The price of the all-wheel drive model could go above the $50K mark.